Last May, my good friend, James Chua invited me and my friends come to his new home in Puchong. We impressed with James's parent new house! We enjoyed to chat together until we got an idea to bring my good friends go to visit the newly opened mall in our neighborhood, Subang Jaya. 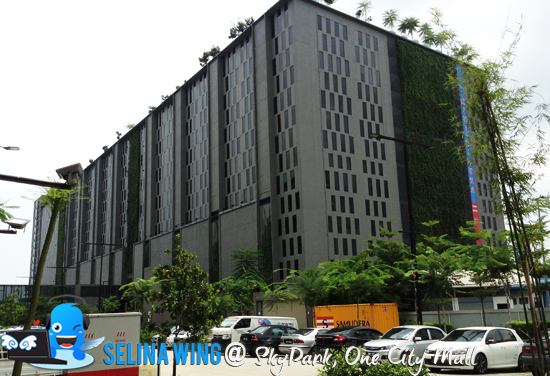 So, we pay a visit to One City Mall located at USJ25, Subang Jaya. Thanks to my good friend, Rainfall who guided us go there! 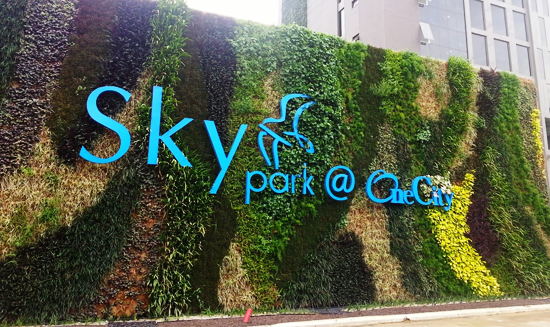 First time, my good friends visit the Sky Park, is an exciting combination of several components - a shopping mall, office suites, a corporate office tower and a business class hotel. 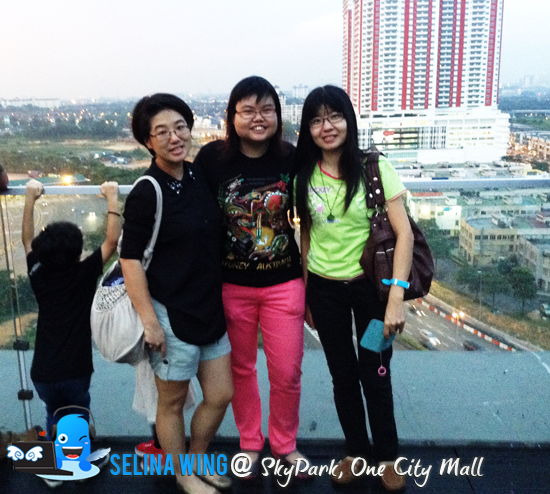 I already went to Sky Park @ One City Mall on two times when I bring my family. My good friend, Rainfall too. She mentioned that Sky Park @ One City Mall get new Premium-X cinema is a wholly owned subsidiary of MCT Consortium Berhad and owns listed status - here. 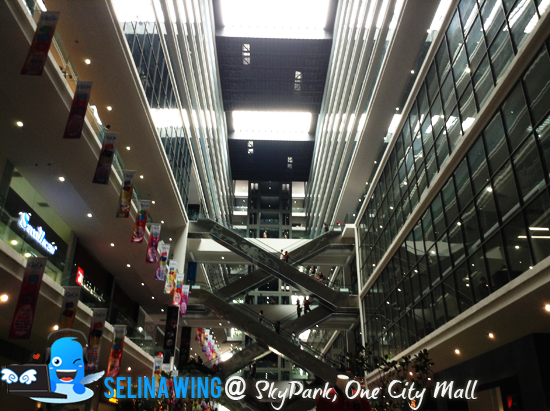 My mom mentioned that the concept in One City Mall is something like a Japanese Zen concept. It get the ground floor which let the winds and sun go in the Mall. There are lots of windows around the mall. Don't worry, there are other floors get inside the air-conds if you don't like hot or windy. 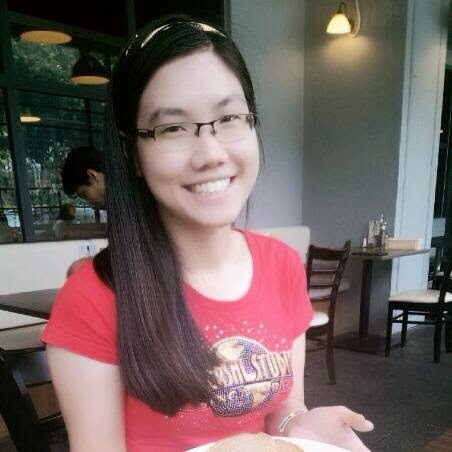 I noticed there are many restaurants in the One City Mall. 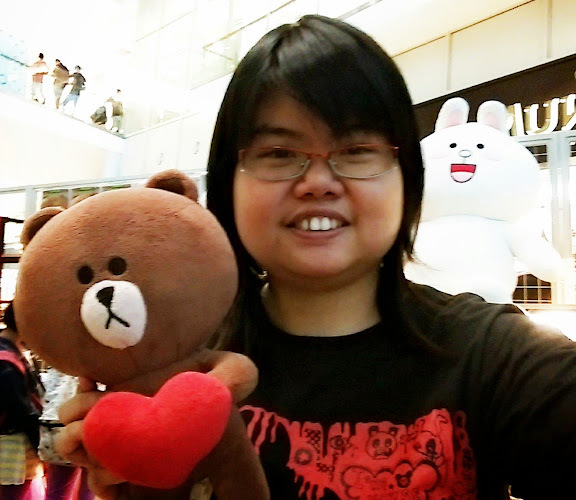 But, there are tech stuffs, Korean fashion, local gifts, etc! 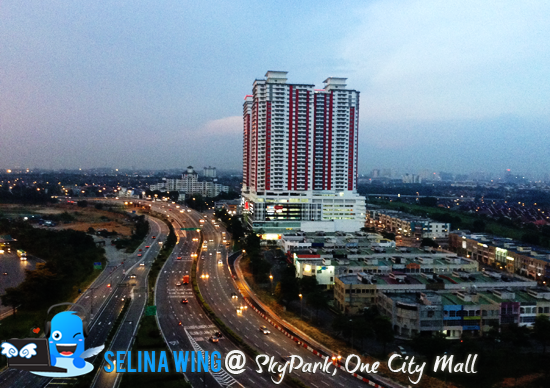 I heard that ‘The Sky, Sky Dining & Chill Out Hub’ located at 10th floor. 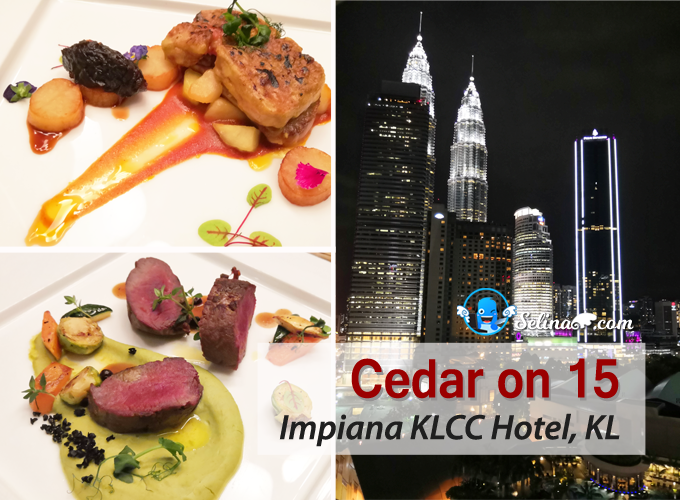 It also claimed as "Biggest Rooftop F&B Area" by the Malaysia Book of Records. We took the glass lift to go up to the 10th level! When we reached there, my best friend's son enjoyed to see the "Sky Garden"! They got some ponds and greens at the roof top. Many people busy to take photo at top level, so we enjoyed to see the beautiful sunset at same time, we took the beautiful photos too! I suggested you better to take the attractive and romantic photos when you see the beautiful sunset and night light view from 10th floor, Sky Garden! 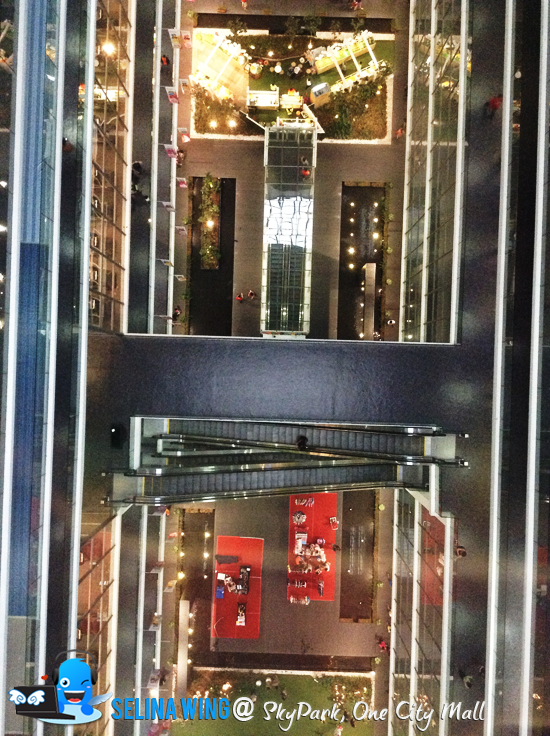 From 10th floor, we can see the bottom via the glass floor!! Wow! We amazed when we can see through glass floor. Then we also walk to look down from the top of that building! Haha! We not scare! I saw few people be careful while they are walking across the glass floors! 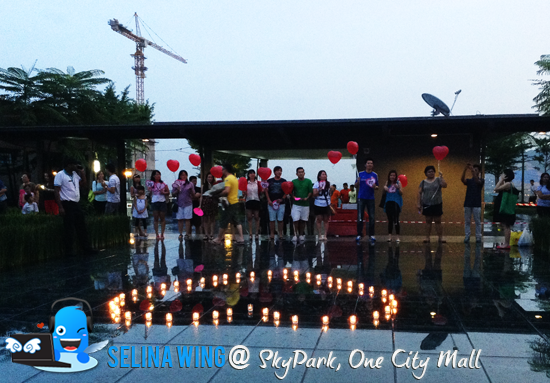 We shocked to see a group of friends help a boyfriend to prepare the 'love' balloons with candles as he want to impress his girlfriend to proposal a very romantic and sweet marriage! After this, we walked to take more photos again because we viewed a very beautiful sunset-night time! My friends and I enjoyed to take our sweet memory's photos! 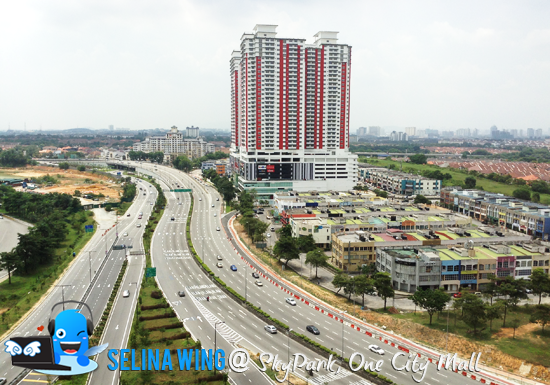 Come to explore new shopping mall at SkyPark @ One City when you are free, ya! 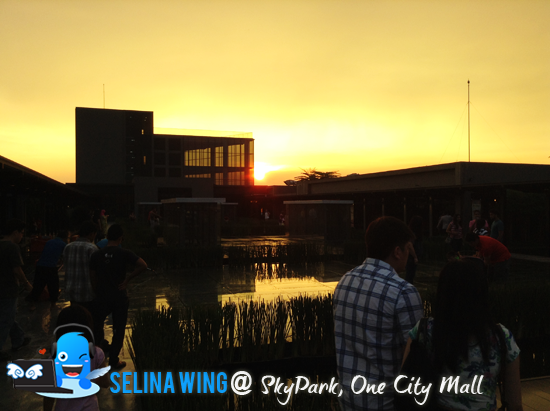 Next time, we want to try new food at the SkyPark, One City Mall again, because there are newest restaurants, such as Charlie Chaplin, Khrua Thai, Inaho Sushi and many! Would like to visit this one day. wah i is so impressed with your good english. how your english so good one?